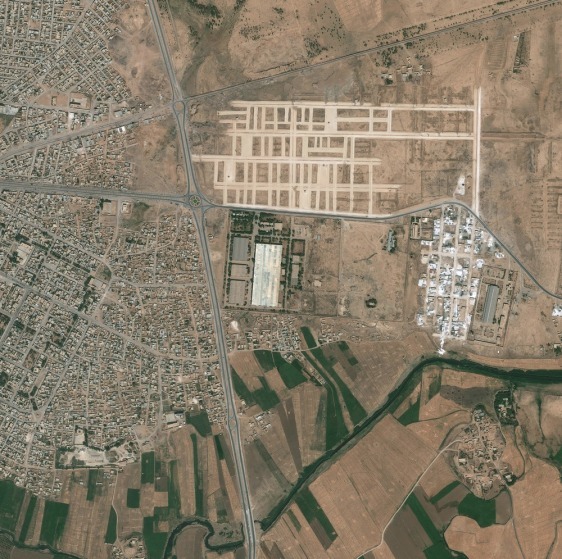 This Aug. 14, 2011, satellite image shows a facility in Al-Hasakah, Syria. Investigators at the U.N.'s International Atomic Energy Agency have asked Syria about this complex, in the center of the image, because they believe it closely matches plans for a uranium enrichment plant sold by the father of Pakistan's nuclear bomb A.Q. Khan.